Like suits coat is also an investment that would seize time and money to get you the right fit. There're different types of over coats like duffle, parka, mackintosh etc. In the battle field, weighty and thick greatcoats were typically used by the British forces were supposed to be impractical during the conditions of the trenches. One of the weightless and waterproof coat made by Burberry, became a perfect fit and there the trench coat was born. When someone wears the trench coat and we may get some impact; it's all about our feel of getting craze towards such a pleasing outfit. A classy apparel: Men's trench coats are perfect for the every men who wants to remain stylish even at tough seasons particularly during most terrible cases like heavy storm bad weather conditions. During these unpleasant weather conditions you can have the warmth and comfort with this overcoat when you're going for the outdoor activities. No man should be seen wearing a old plain rain coat over their suit if they want to be noticed seriously. 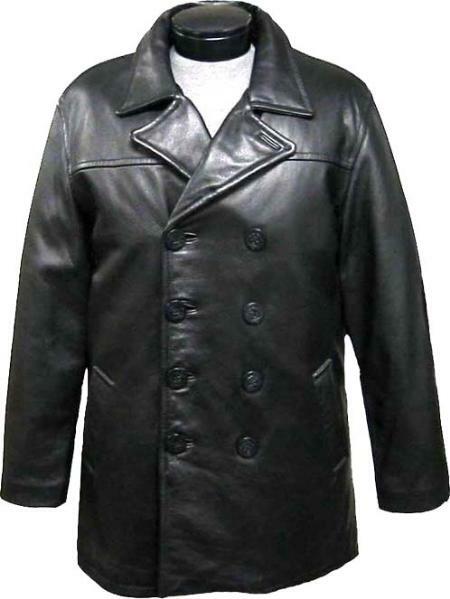 It is a classy waterproof overcoat made of cotton, nylon, polyester and also the lambskin leather to make it classy. Trenches are more versatile and can be worn from teenagers to business-men which retains the formal outlook. Also they're available in various sizes and at various cost. It includes some provisions like belted enclosure, internal as well as external welt pockets and storm pockets with some protective linings. It can be either of double-breasted or single breasted which measures full-length and even at shorter length. There are various color choices like black, brown, gray, tan, khaki and many more for every men's requirement. Trench coats are fabricated with important three different materials. Significantly its fabric, mainly its color and then its quality determines how official the coat and how useful it is. The extra-long size of the coat really helps to keep them warm and it protects inner clothes from getting damaged or wet. Its peak growth is due to its classic look and is really illustrious all over the world as one of the best luxurious looking overcoats ever. Trenches are always versatile and can come with various best features. In many cases, they have certain professional fashion trends that cannot be compensated in anyways by any kind of outerwear. There are many decisions that are involved when selecting the perfect coats. How the coat can fit, what sort of fabric, its style, and its color will determine whether it is formal or informal. The main purpose of this guide is to help the men in getting a perfect trench coat that is very much ideal for their lifestyle. 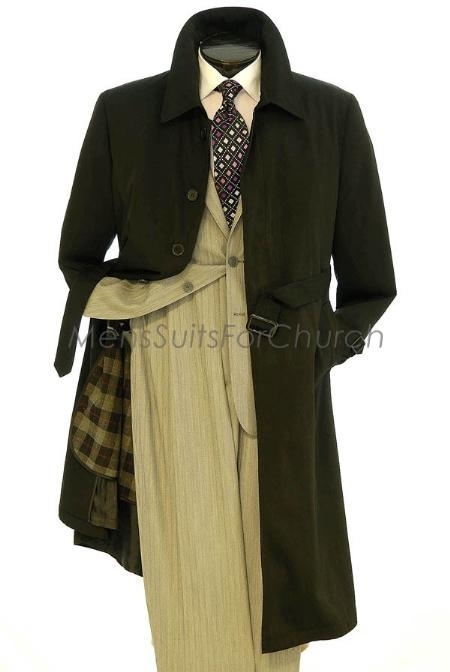 Wool Gabardine – Wool gabardine was used on early trench coats as its intense weave repels water and was unpredictably strong enough to withstand during rainy season. But it is complete only with a silk lining because this garment was weightless, functional, and handsome when worn. The first woolen jackets were sold only to the British officers. A customer who had considerable spending power and was willing to invest in a garment that served him better than anything issued before. Today wool gabardine is used only on high-end or custom trench coats based upon request because of its high cost and makes it impractical for bulk sale. While vintage type wool gabardines can be found at reasonable cost. Leather Trench Coats– The leather trench coat is a modern trend and as like wool it doesn't attain popularity among the classic piece of menswear. It is Heavier and warmer than cotton or wool fabric and it is closely related to the overcoat in terms of functionality. One of positive in this trench is its ability to repel dirt and water; make ease of cleaning among the hard working city men. But the black leather trench coat is depicted as the uniform of organized crime's gangster wear who has encumbered with negative implication. Cotton Fabric – Initially the trench coat were made with heavy khaki drill. But nowadays trench coats use densely woven cotton with poplin and twill weaves. It is regrettably not as warm as wool. Although cotton does not have the heat retaining properties of wool, it is more durable and it can be made as water resistant if treated. It is less expensive than wool and available in larger quantities from various sources but its main drawback is that it wrinkles effortlessly. Today cotton is the fabric of choice for most trench coats, although manufacturers often mix in man-made fibers for better weather resistance properties and cost effective.